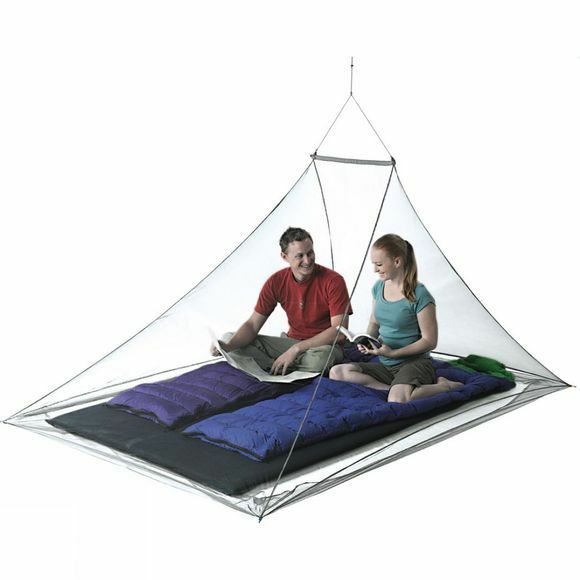 The Pyramid Nano Mosquito Net from Sea To Summit is designed to sit over your bed while you sleep in order to protect you from biting bugs and insects. An aluminium spreader bar offers more headroom while the elasticated hanging cord minimises any snagging and helps when you need to adjust the height. Exceptionally lightweight and with a small pack size it is the perfect companion for those heading off to more remote areas for adventure.